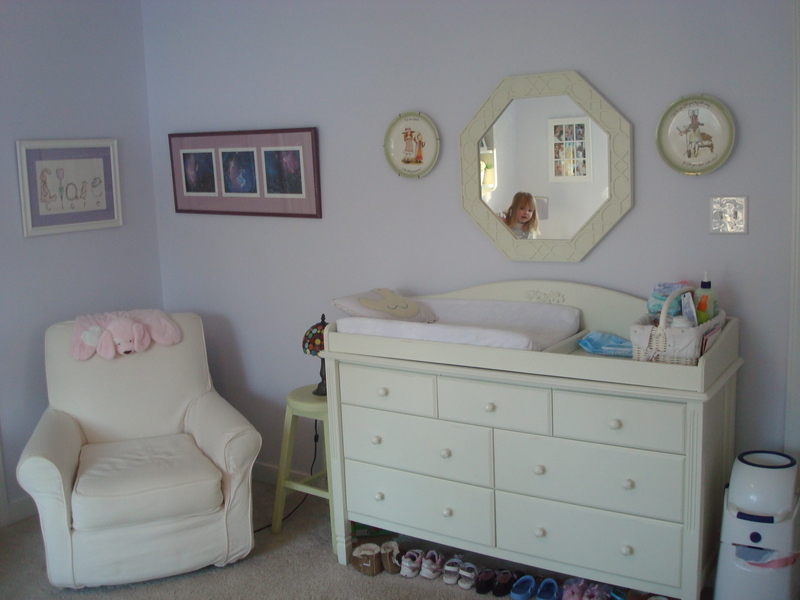 Project Big Girl Room! | spark! This entry was posted in Bedroom, Children, Nursery, Paint, Tables, Windows and tagged Audrey Chenille Panels, Ballard Designs, Bed Skirt, Benjamin Moore Paint, Big Girl Room, Burlap Pillow, Curtains, Elizabeth Tulle Bed Skirt, Etsy, Flower Accent Table, Headboard, Katie Polka Dot Sheeting, Lavender, Light Shade, Mirror, Monogrammed Shade, Nursery, Panels, Paris Toile, Pottery Barn Kids, Print, Shades of Light, Sheets, Side Tables, Target, The Love Shop, Throw Pillow, Window Treatment. Bookmark the permalink. Think it is going to be fabulous! 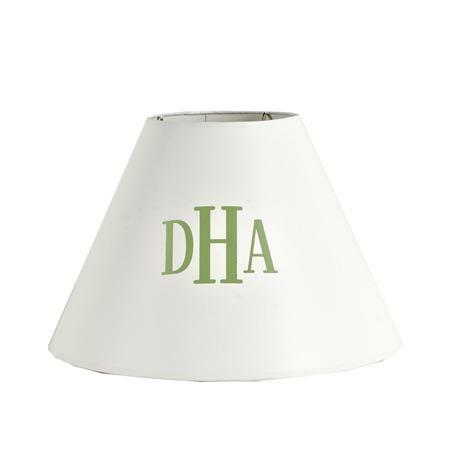 If you end up DIYing the monogrammed shade, let me know! I’ve been toying w/that idea for my son’s room! The plans look great! I just love kids rooms they are so much fun. 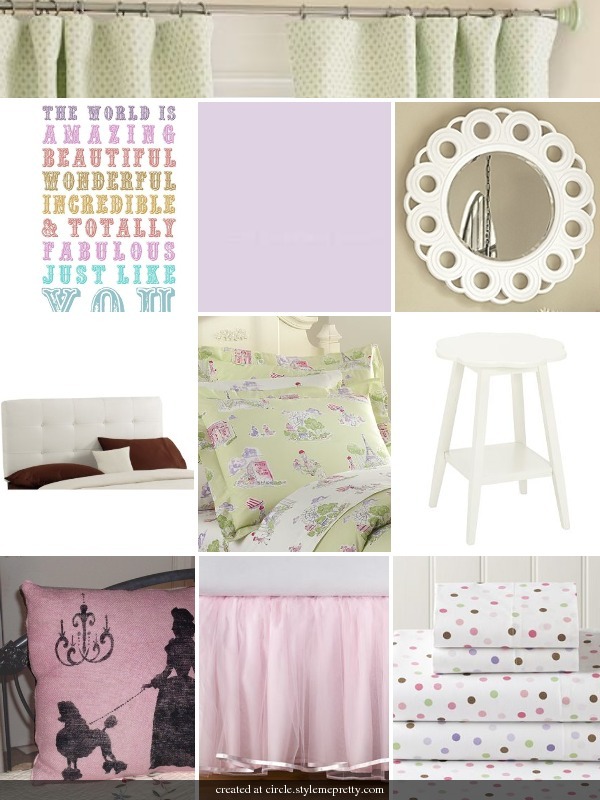 I love the little girl room and the ideas for the big girl room! We are in a strange transition spot. 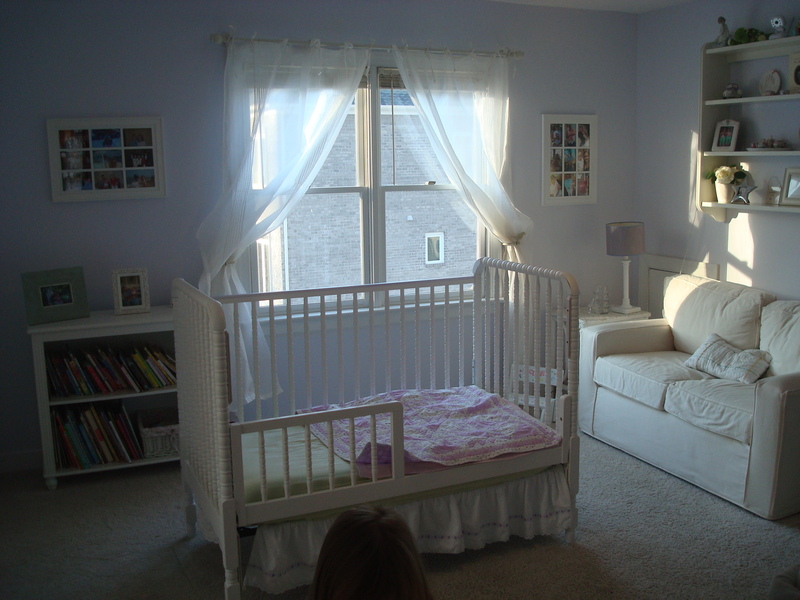 Our crib doesn’t convert and our glider lost an arm, but I’m not ready for a big boy room just yet. Can’t wait to see your progress and get inspired. It sounds like a fabulous plan! What fun. I love your inspiration and I adore it so far! I have recently discovered your blog and this is EXACTLY the type of project I was looking for! Will be waiting patiently to see what you do!!! Love!! Can’t wait to see final results!! Pingback: Closets as Rooms « spark! Pingback: The Closet-Turned-Secret-Room | spark! Pingback: My Hallways — The Good and Not So Good | spark! 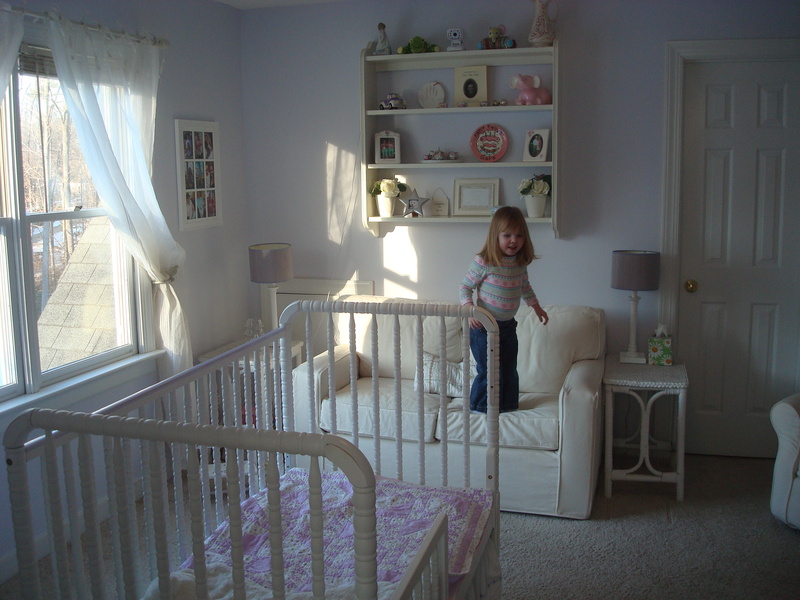 Pingback: The Reveal: Project Big Girl Room | spark!